If you have watched Pixar movie titled "Ratatouille" you would recognize this name as well as the dish. 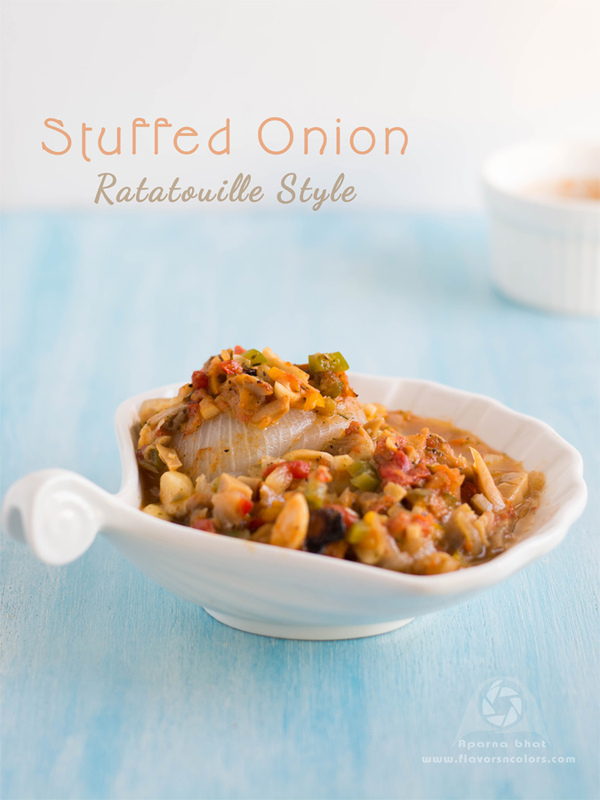 Traditional Ratatouille from French cuisine is a vegetable stew made from eggplants, zucchini, onions, bell peppers and tomatoes, and a variation of this dish was created by lill Chef Remy in the above movie to impress the restaurant critic. Although, it has been on my to do list since the time I watched this movie, the muhurat never came. Its only during this weekend, while carrying out my regular chore of scanning the refrigerator, I found some mushroom, bell peppers, tomatoes in smaller quantities lying in the vegetable storage box. Immediately I decided to make this French dish. I had everything except eggplants so I went ahead to prepare some Stuffed Onions - Ratatouille style inspired from the recipe here. An impressive side dish, this easy recipe will surely be a crowd pleaser. You can sneak in more veggies (according to veggie availability) into this dish to make it more colourful and healthy. 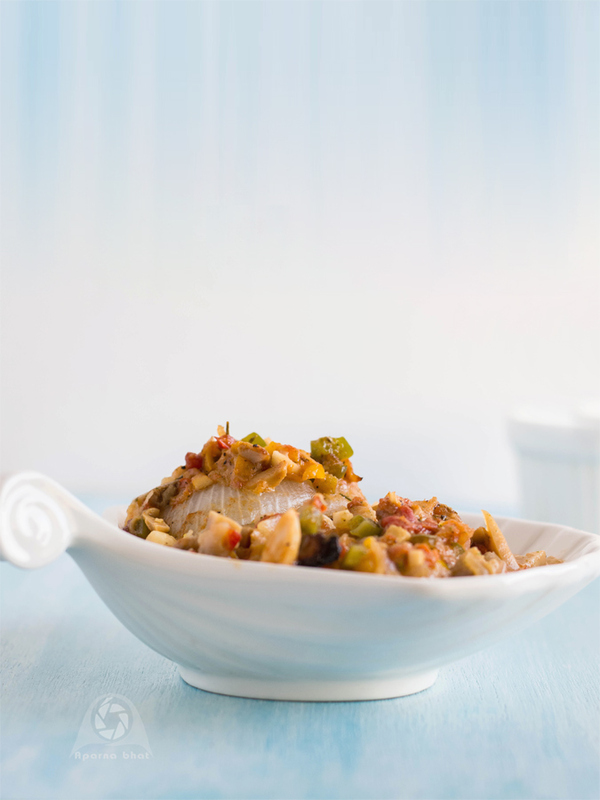 The bonus point is, this dish can be cooked ahead of time and rewarmed at the time of serving. Trim the ends of the onions. Remove the skin and cut them in half. With a melon scooper, scoop out the center of the onions. (Finely chop the scooped part and keep it aside, to be used later while preparing the stuffing mixture). Now take a deep pan and place these scooped onions upright, cut side up. Add 1/4 cup of vegetable stock. Simmer it for 4-5 mins. Switch off the flame. Once the onions have cooled down a bit, remove them from the stock water and let it sit on plate while you proceed to prepare the stuffing mixture. Fill each hollowed onion with this vegetable mixture. Arrange them on a baking tray. Cover the tray with foil and bake it at 200 C for 25-30 minutes. Remove from the oven and serve.